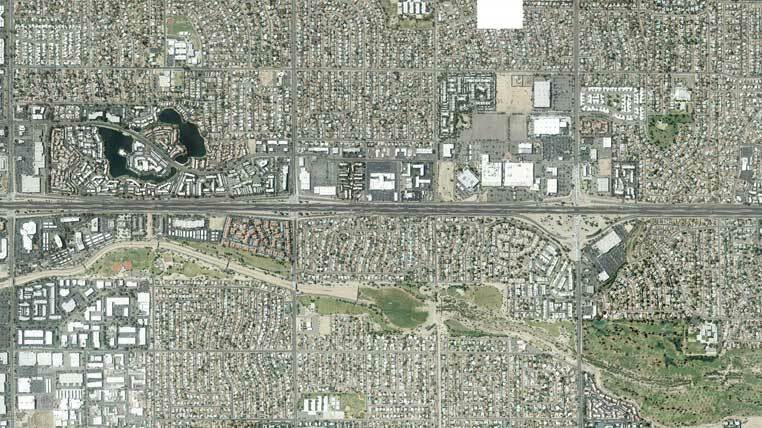 Project Description: The existing 22-inch steel water transmission line in this area of Phoenix had reached its design life cycle and needed to be replaced. CVL was contracted directly with the City of Phoenix to design a 24-inch transmission main to replace the aging water line. • The new 24-inch water transmission line crosses under the I-17. CVL selected a jack and bore methodology to achieve this crossing with no impact to highway traffic. The jack and bore system met ADOT standards, CVL’s close coordination with ADOT enabled the project to move forward at a steady pace during design and construction. 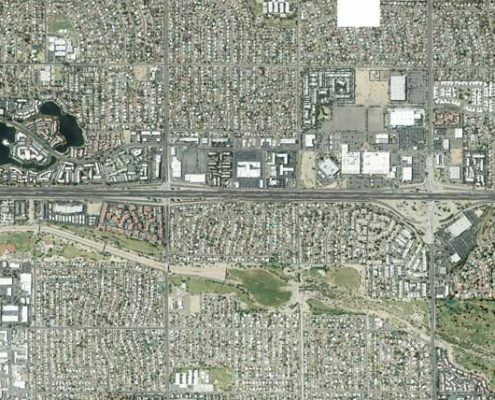 • Multiple existing residential neighborhoods and businesses exist along the water transmission alignment. CVL developed a “Public Coordination Program” meeting City requirements, to provided residents and business owners up to the date information and opportunity to be heard during design and construction. The Public Coordination Program and its web page allowed the team to address issues quickly and help avoid costly delays. • Potholing to locate buried utilities such as gas lines, storm and sanitary sewers, electrical duct banks and the precise location of the new main’s connection to the existing water lines enabled the design team to accurately locate these utilities and avoid conflicts during construction thereby reducing change orders and delays in the schedule.